Bitrix24 new automation rules are designed to help you automate work with CRM records (leads & deals). Use automation rules to streamline client management process and help employees adhere to lead processing algorithm. Automation rules will perform actions in an unattended manner: send e-mails, make calls, etc. Go to CRM > More > Settings > Automation to configure Automation rules and Triggers. An automation rule is linked to a specific status. As soon as a CRM entity moves to a new status, an automation rule specified for that status is activated. Automation rules can specify the activation time and an action: task, notification, e-mail, call or other action of your choice. You can configure automation rules once & the only thing your sales agents will need to do is execute tasks & activities automatically set by the system. Run – this is the key parameter which specifies when the rule should be applied and the action performed. ● Immediately – action will be performed immediately after CRM record has changed its status. If you will configure several rules with “immediate” parameter – all of them will be applied at the same time when record’s status is changed. ● In - delay interval before the rule is applied, after a CRM record has changed status. This is probably the most popular parameter, which helps to build CRM record’s processing based on one status. For example, after an email is sent to the client (e.g. lead status = email sent) – call back in 1 day to know if the client is interested in the proposition. In 2 days - to send another email, etc. The action chain can consist of multiple automation rules, where each rule is to perform a particular activity in a defined amount of time (minutes, hours, days). ● Before – the rule will be applied to the specified time period prior to the date specified in the CRM record (lead or deal). For example, it can send a payment reminder in one day before the due date. ● After previous automation rule - this parameter helps to build logic actions chain of actions, when your rule shouldn’t be activated before the previous rule is applied. For example, you need to call your client after an email is sent to make sure it was received and read. If email hasn’t been sent, the call won’t be scheduled. All automation tools are grouped into 4 categories: for employee, for client communication, advertising, custom automation rules. Activity - the rule will automatically create an activity for the user. Write to log - this rule automatically adds a message to CRM element card's History tab. Add comment - the rule will add a comment to a lead or a deal. This comment will be displayed in the CRM element's card. Add message to Activity Stream – another way of notifying your sales team what actions they should perform next, but this time the message is added to the Activity Stream, which gives the possibility to start discussion and comment on the notification. Time and recipients are configured in the rule settings. Add to exceptions - this rule will automatically add lead or deal contact information (email address and phone number) to the exceptions list. Read more about exceptions list in the article - Exceptions list. Book a resource - the rule automatically books a resource and assigns a selected employee for selected date and time. Read more about booking resources in the article - Book a resource. Cancel booking - the rule cancels the active booking in the selected "Book a resource" field. Change company - this rule allows to change any company information in a deal automatically. Change contact - this rule allows to change any contact information in a deal automatically. Change responsible person - simple rule, that changes CRM record's responsible person. Change status (stage) – if your lead processing method is rather simple, then you can automate it even more – change record’s (lead or deal) status (or stage) automatically after a certain condition has been met. Control – the rule helps you to control CRM record's progress within your sales funnel or deal pipeline. For example, you can set a rule that a lead can stay unassigned (status=unassigned) for a maximum of 3 days. You can add the rule for this status notifying you that the sales agent hasn’t yet changed lead status. This type of rule allows you to control each CRM record’s (lead or deal) stage\status and will automatically notify you when your team is falling behind. Create using source - for leads: the system can automatically create a deal (within the selected pipeline), contact or company using the lead. For deals: quotes or invoices can be created. Delete CRM record – the rule that deletes CRM record (lead or deal) when applied. Usually, this rule is used for unqualified leads, which are considered as junk leads. Send email- the system will send email to the responsible person. You can also add more recipients. Generate code - the system will generate a code with the selected string length. For example, this code can be used as a unique for each client discount code. Notification – this very useful parameter can be configured to send your sales agents reminders what actions should be performed during lead processing. You can add notification description (e.g. what should be done at this step) and configure who will be shown as notification sender. Please note that notification rule is configured for all CRM records types generally (e.g. for all leads) – it is more convenient to leave recipient filed = responsible. In this case, the system will identify record’s responsible user and will automatically send him or her this notification. Edit document - the rule will modify CRM record's fields. For example, when your lead reaches the final status "complete lead" it can be recorded as "converted". The number of conditions you may add is unlimited. Schedule a call – the rule will automatically schedule a call and will notify your sales agent that he or she needs to call the client. Schedule a meeting – the rule automatically schedules a meeting, adds it to sales agent's activities and to his\her personal calendar. This makes sales agents planning easier, allowing them to simply perform activities listed in the system without being afraid to forget something. Send SMS - the rule will automatically send an sms to the responsible person or other employees. Task - the rule will automatically create a task for the user. Wait - the rule allows to leave comments or instructions for either inactive leads/deals when any activity is detected from their side or for new leads/deals. Robocall - phone call that uses a computerized autodialer to deliver a pre-recorded message, as if from a robot. Send SMS - the system sends an sms to the client (with predesigned text) via selected Marketplace provider. Send email - this rule automatically sends emails to your clients. Just add message title and text. 3. Advertising: these are rules that automatically send client data to the target audiences and remarketing lists in various ad networks. Please note that this rule only sends the information about the client (email or phone). You should have the ad configured inside selected advertising platform first. You will need to add your advertising network’s authorization details to Bitrix24 rule settings page and configure further available parameters. You can run Facebook ads directly from your Bitrix24 account. After Facebook account authorization you will see your Facebook advertising account & audiences added automatically. 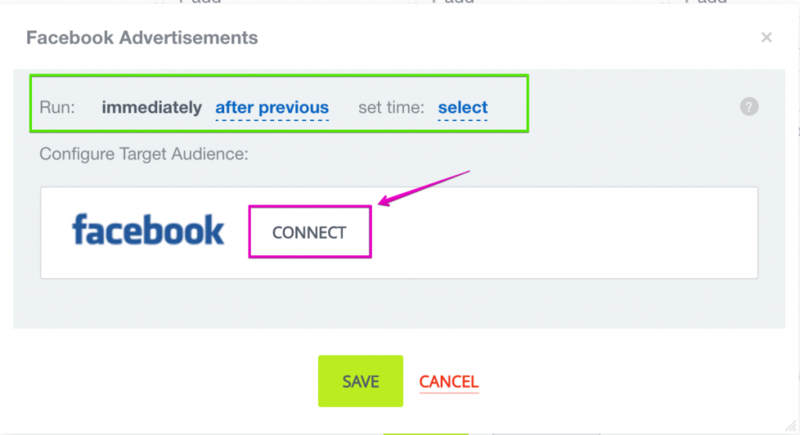 Choose audience & configure "remove from audience" option, if necessary. After the automation rule is configured, you can be sure the system will automatically send client's details (from lead or deal) to the connected Facebook audience. Please note that the system send the client's data (email or phone number) to the Facebook audience. 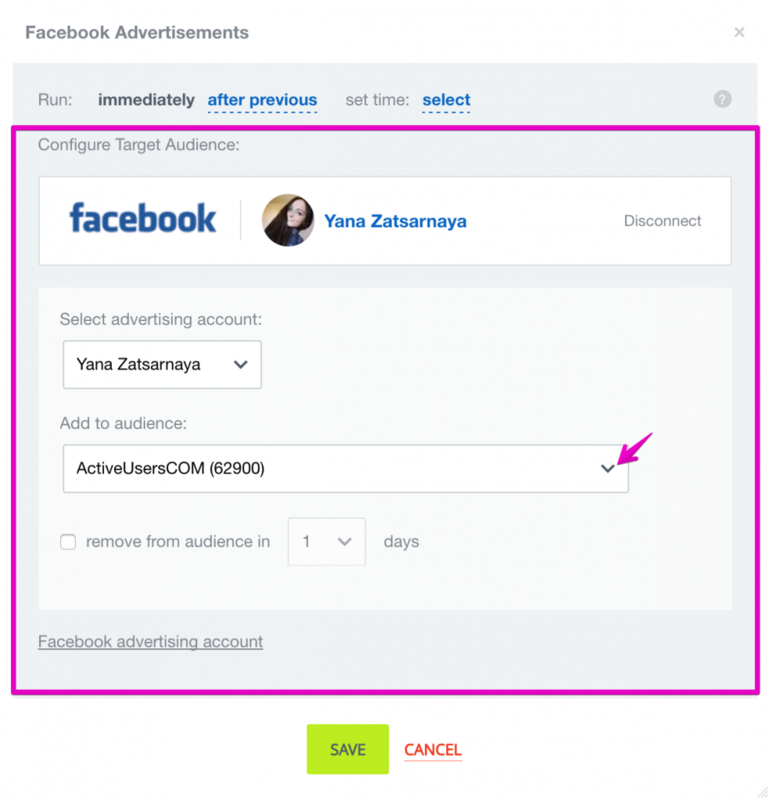 You should create & configure new ads inside Facebook ads manager. Webhook – this rule helps to send data to any other system (webhook manual). Applications24 - this is option redirects you to the Marketplace apps page where you can add CRM bot. Click CRM > Settings > Permissions > Access Permissions to configure user access permissions. Choose the role that you want to edit access permissions for and select actions that this role can perform - Update or Read. You can give users different access permissions to leads automation rules and deals automation rules. Leads automation rules are available to all commercial plans subscribers. Deals automation rules are available to Standard or Professional plan subscribers. Learn more about Bitrix24 Plans and Pricing. 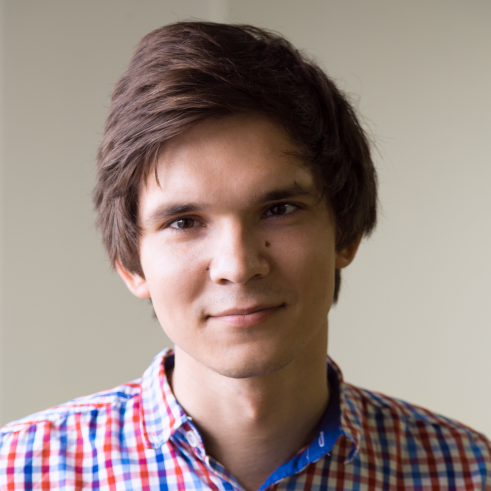 Triggers - client-side actions that will bring status processing into motion. When a trigger sets off, the CRM record will be brought to a required status, which in turn will activate appropriate automation rules. Triggers don't respect previous statuses a CRM record might have been in. Moving a CRM record to a higher status will not activate triggers attached to lower statuses even if they were never activated for a current CRM record. Incoming email - trigger gets activated when there is an incoming email from a client. Message has been sent - trigger gets activated when you have sent a message to a client. Email viewed - client viewed an email sent from CRM form or an email sent using the "Send email" automation rule. Email link clicked - client clicked a link in email. You need to add this link when creating trigger. Incoming call - trigger gets activated when there is an incoming call from a client. CRM form submission - trigger gets activated when a client has filled out a CRM webform on your website. Callback - you can track, when the client has filled the selected callback form. Visit - will trigger if the visit tracker has been activated. Visitor return - if a client was created via CRM webform or callback form from your website, the system tracks when the same user visits the site again and triggers the action. Initial message posted by client to live chat - trigger gets activated when a client sends an initial message to the selected open channel. Each message posted by client to live chat - trigger gets activated when a client sends any message to the selected open channel. Resource booked - trigger gets activated when there is a resource booked. App triggers - you can use Marketplace apps to create triggers. First, you add a trigger at the particular stage (status) and set what should happen for the trigger to react. For example, when you get a new lead, your sales agent’s goal is to make this lead register for an event (CRM web form is made for this event). 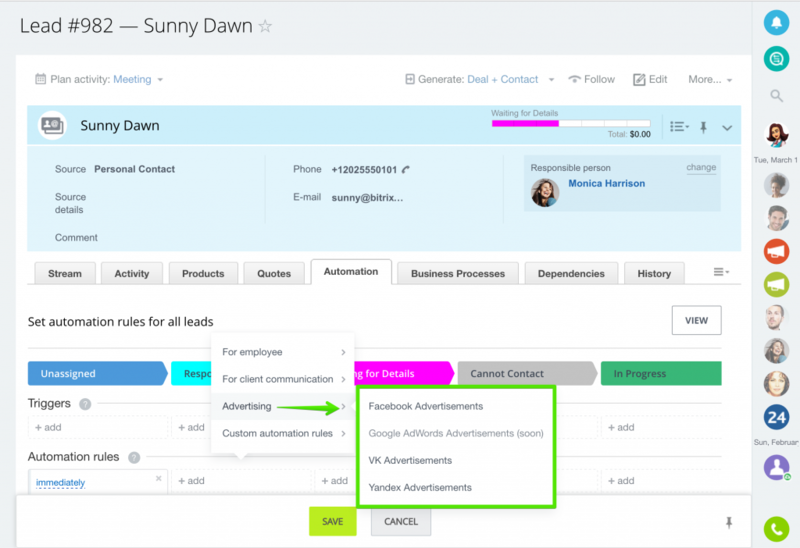 As soon as the lead appears in your CRM, configured automation rules move this lead between the statuses in the sales funnel. It may happen that the client fills the event CRM web form being at the very first status in the sales funnel. What then? In this case automation rules that should be applied at further statuses become excessive since your goal was – filled event CRM web form. Here is when you need triggers. You can add trigger = “CRM form submission” for the lead’s final status. As soon as the client fills the event CRM form, the trigger reacts and moves your lead to the final status. In this case, automation rules for the “between statuses” won’t be activated. Automate your sales processes easily with Bitrix24 CRM! Marketing Automation options are available to Bitrix24 Plus* plan (leads only), Standard & Professional plan (leads, deals) subscribers. Please note that Edit In Workflow Designer option for automation rules is available to Bitrix24 Professional plan subscribers only. *Important: The PLUS subscription option was available to Bitrix24 users from January 10, 2016 to March 18, 2019. This subscription option was archived and is no longer available for new Bitrix24 users, meaning that Bitrix24 Cloud accounts created after March 18, 2019, that had never been activated with a commercial subscription, cannot be upgraded to the PLUS subscription. Upgrades or downgrades from other commercial options to the PLUS subscription also become unavailable after March 18, 2019. If your Bitrix24 Cloud account had been created before March 18, 2019, and you are currently using your account with the PLUS subscription option, you can continue renewing your PLUS subscription unless you decide to upgrade or downgrade your account to another available subscription option, or unless your Bitrix24 Cloud account gets rolled back to the FREE subscription option due to non-payment.